Northumberland is a county famous for its medieval castles. Not least amongst them is the thousand-year old Alnwick Castle. Seat of the legendary Percy family – the original Kings in the North – and now the home of Duke of Northumberland. Although its modern fame lies more with Black Adder, Harry Potter and the famous Alnwick Gardens, it also has a more unexpected connection. Alnwick Castle is purported to have spawned its own vampire. William of Newburgh – author of the first vampire diaries? The strange tale of the hunchback vampire that stalked the grounds of the castle bringing terror and disease in its wake, was most famously recorded by a medieval chronicler named William de Newburgh. 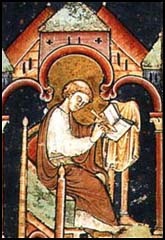 Newburgh wrote his Historia rerum Anglicarum in the late twelfth century primarily as a work of ‘serious’ history. He was quite proud of his research, and not above a little professional bitchiness -particularly about the work of fellow medieval historian – Geoffrey of Monmouth, dreadful fellow(!). Nevertheless, de Newburgh was adept at adding a bit of local colour and even a supernatural twist to spice up his narrative. Introducing the subject of revenants and vampire-like creatures, he manages to sound both archly aloof to the whole idea, whilst simultaneously seeming to claim that the eye-witness evidence supported the veracity of such claims. 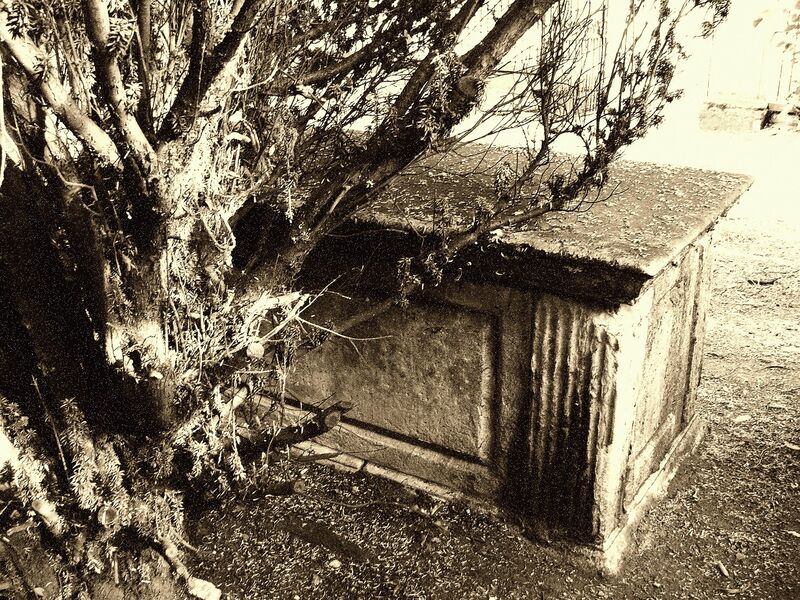 Despite de Newburgh’s implication that he used apparently reliable testimony there is little evidence of the Alnwick vampire other than local legends. An early version of the tale says that the creature was the revenant of ‘the Lord of the Estate’ who lived underground and only came out to wreak mayhem and violence on the local peasantry. His reign of terror was finally stopped when the locals, no doubt wielding pitchforks, dug him up and burned his festering corpse. William de Newburgh elaborated on the tale and added a few more vampire-like attributes. In de Newburgh’s version the vampire is demoted, and the lord of the estate becomes instead a mere retainer of the lord (perhaps de Newburgh did not want to annoy the powerful de Vescy family who owned Alnwick at that time); the creature is seen prowling the estate Post Mortem looking for trouble. 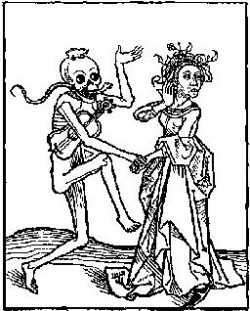 The energetic corpse took to paying less than welcome house calls, bringing sickness and plague in his wake. The villagers barricaded themselves in to their homes once night fell. Then on Palm Sunday, the priest, seized with a Van Helsing-like zeal, enrolled a pitchfork wielding mob (every village should have one) and successfully uncovered the lair of the unruly cadaver. Upon striking the putrescent body with a spade, blood gushed out, seeming to prove that the rogue rotter had been feasting on the blood of the living. Staked with a spade and burned at the margins of the village (cross roads maybe? ), the curse was lifted, the plague ended and everyone lived happily ever after…. (well except for the serfs, they probably still had a pretty rubbish time). So was the creature really a vampire? It is definitely not within the scope of this post to do a full on study of all things vampire as they relate to this legend. When I first came across the tale I thought it sounded much more like a zombie-like creature than a vampire (but that is probably just my own bias) – I mean, where were the fangs? 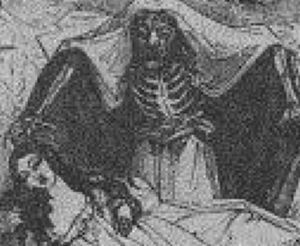 The Alnwick vampire was said to be a dead body, leaving its grave at night and bringing a sickness in its wake. The corpse, when it was discovered, was found to be corpulent and brimming with blood. So, under the terms of Wright’s definition, the Alnwick Vampire seems to fit the classic usually Eastern European profile for a vampire. Afterall, people in the past were less likely to understand the post mortem changes that afflict a corpse and might view the natural decomposition process and its occasional mockery of corpulent, rosy cheeked health as something far more sinister and unholy. Dracula’s guest goes on to suggest other reasons for the vampire legend which could also fit in this instance. DG suggests that in rural communities when things go wrong – such as crops failing and outbreaks of disease – a community can regain some sense of control of the natural world by finding a scapegoat and then carrying out a proscribed set rituals to regain control. 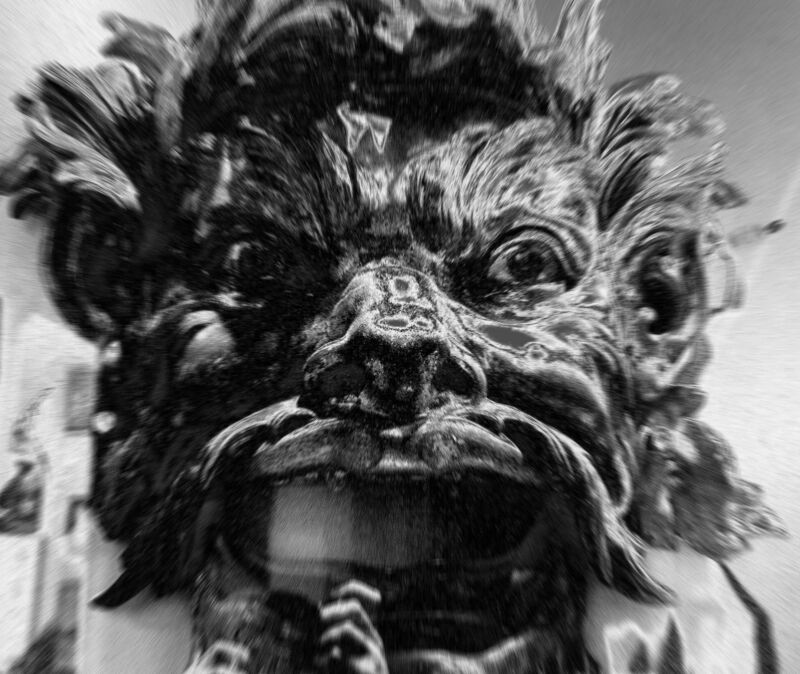 Whereas a witch might be the first choice for blame, in the Alnwick Castle legend, it is a vampire. And once the ritual is performed (led by a churchman) then the natural order is returned and just as the monster is vanquished, so is the sickness that plagued the community. 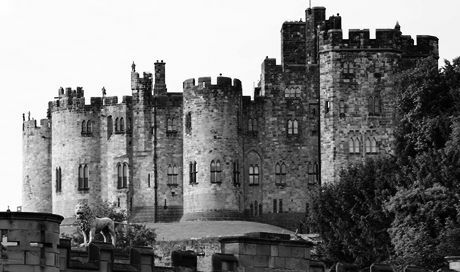 As to location, well, this particular vampire legend has become associated with Alnwick Castle in Northumberland, however William de Newburgh calls the castle Anantis, and there are other claimants to the vampire across the border in Scotland. Although this demonstrates how spellings change over time, there seems to be quite a big divergence between Anantis, and Alnewike (which phonetically, at least, sounds like Anlwick). So, vampire (or vampire-like creature), I would say, yes OK, to my mind this beast has fangs! 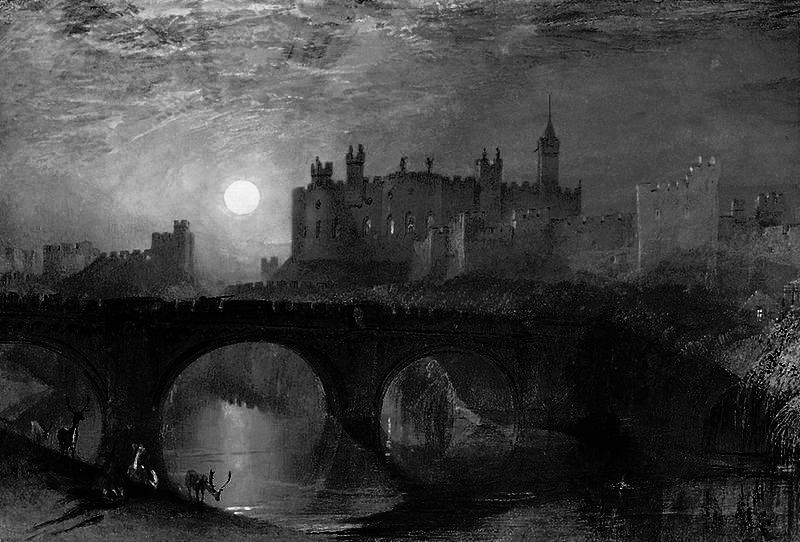 But as to the location, I would love there to be a Northumbrian Vampire legend from such an early period, but I’m just not so sure on the Alnwick connection. If anyone has thing else on this legend and how it links to Alnwick or the castle, I would love to hear about it. Another event, also, not unlike this, but more pernicious in its effects, happened at the castle which is called Anantis, as I have heard from an aged monk who lived in honor and authority in those parts, and who related this event as having occurred in his own presence. A certain man of evil conduct flying, through fear of his enemies or the law, out of the province of York, to the lord of the before-named castle, took up his abode there, and having cast upon a service befitting his humor, labored hard to increase rather than correct his own evil propensities. He married a wife, to his own ruin indeed, as it afterwards appeared; for, hearing certain rumors respecting her, he was vexed with the spirit of Jealousy. Anxious to ascertain the truth of these reports, he pretended to be going on a journey from which he would not return for some days; but coming back in the evening, he was privily introduced into his bedroom by a maid-servant, who was in the secret, and lay hidden on a beam overhanging, his wife’s chamber, that he might prove with his own eyes if anything were done to the dishonor of his marriage-bed. Thereupon beholding his wife in the act of fornication with a young man of the neighborhood, and in his indignation forgetful of his purpose, he fell, and was dashed heavily to the ground, near where they were lying. The adulterer himself leaped up and escaped; but the wife, cunningly dissembling the fact, busied herself in gently raising her fallen husband from the earth. As soon as he had partially recovered, he upbraided her with her adultery, and threatened punishment; but she answering, “Explain yourself, my lord,” said she; “you are speaking unbecomingly which must be imputed not to you, but to the sickness with which you are troubled.” Being much shaken by the fall, and his whole body stupefied, he was attacked with a disease, insomuch that the man whom I have mentioned as having related these facts to me visiting him in the pious discharge of his duties, admonished him to make confession of his sins, and receive the Christian Eucharist in proper form: but as he was occupied in thinking about what had happened to him, and what his wife had said, put off the wholesome advice until the morrow — that morrow which in this world he was fated never to behold! — for the next night, destitute of Christian grace, and a prey to his well-earned misfortunes, he shared the deep slumber of death. A Christian burial, indeed, he received, though unworthy of it; but it did not much benefit him: for issuing, by the handiwork of Satan, from his grave at night-time, and pursued by a pack of dogs with horrible barkings, he wandered through the courts and around the houses while all men made fast their doors, and did not dare to go abroad on any errand whatever from the beginning of the night until the sunrise, for fear of meeting and being beaten black and blue by this vagrant monster. But those precautions were of no avail ; for the atmosphere, poisoned by the vagaries of this foul carcass, filled every house with disease and death by its pestiferous breath. Thereupon snatching up a spade of but indifferent sharpness of edge, and hastening to the cemetery, they began to dig; and whilst they were thinking that they would have to dig to a greater depth, they suddenly, before much of the earth had been removed, laid bare the corpse, swollen to an enormous corpulence, with its countenance beyond measure turgid and suffused with blood; while the napkin in which it had been wrapped appeared nearly torn to pieces. The young men, however, spurred on by wrath, feared not, and inflicted a wound upon the senseless carcass, out of which incontinently flowed such a stream of blood, that it might have been taken for a leech filled with the blood of many persons. Then, dragging it beyond the village, they speedily constructed a funeral pile; and upon one of them saying that the pestilential body would not burn unless its heart were torn out, the other laid open its side by repeated blows of the blunted spade, and, thrusting in his hand, dragged out the accursed heart. This being torn piecemeal, and the body now consigned to the flames, it was announced to the guests what was going on, who, running thither, enabled themselves to testify henceforth to the circumstances. When that infernal hell-hound had thus been destroyed, the pestilence which was rife among the people ceased, as if the air, which had been corrupted by the contagious motions of the dreadful corpse, were already purified by the fire which had consumed it. These facts having been thus expounded, let us return to the regular thread of history.